All Christians, especially teens who lack experience, need assurance when life gets tough and through everything we experience His Promise, His Presence and Provision. He is worthy of all Praise. At the end of the day or night… Thank You Lord for helping me.. no matter what tomorrow brings. 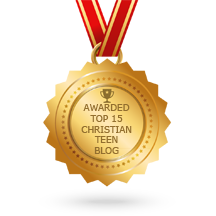 This entry was posted in A CLICK A BLESSING TODAY, CHRISTIAN TAGALOG BLOGS, CHRISTIAN TEENS BLOGS, CHRISTIAN URDU BLOGS, PRAISE THE LORD TESTIMONIES and tagged Assurance, love, salvation, Thank you, Worth, worth the wait. Bookmark the permalink.